Winner of the 2009 ADNZ Regional Design Award for Commercial/Industrial Building. 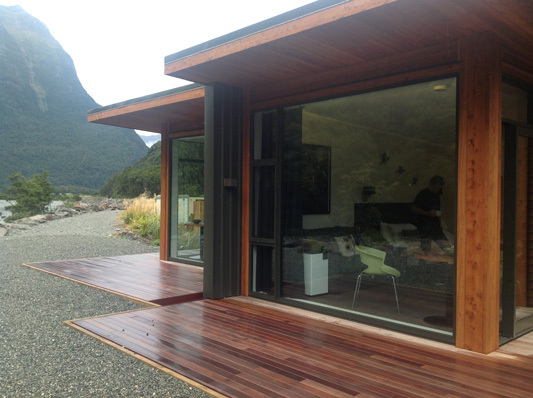 Fourteen 35sqm luxury studio chalets were designed to capitalize on the breathtaking views of the Fiordland World heritage location, whilst offering guests a comfortable stay. Due to the difficulty of building in a World Heritage site, the units were built in Invercargill and transported by truck through the Homer Tunnel. Architectural details including high insulation levels and optimum window positions ensure that the chalets work optimally in their environment.